Vine just got a lot more awesome, and a bit less loopy. 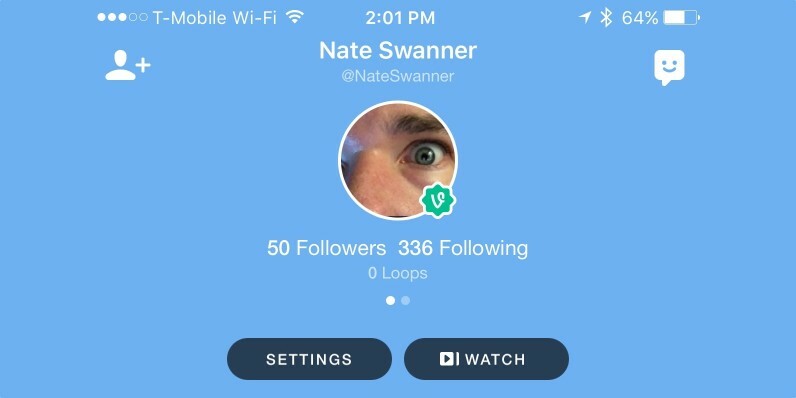 With today’s update, a new ‘Watch’ feature on profiles will help you dig all the way through someone’s Vine history. Watch lets you see everything a person has Vined (or revined). Each video loops once, but holding on a playing video keeps it looping until you let go. It’s a good way to find out — in short order — if you really want to follow an account. If you see a lot of ‘get a free iPhone’ revines, maybe you won’t be into their feed. You’ll also be able to see likes and posts on an account, just like you can your own. There’s also been a slight visual upgrade that makes Vine look a lot cleaner and simpler. While Watch is the biggest draw, it leaves us wanting. That’s a great feature for curated lists or Apple TV, where you just want to sit back and watch rather than manually scroll through posts. Perhaps today’s update is laying the foundation there, though.